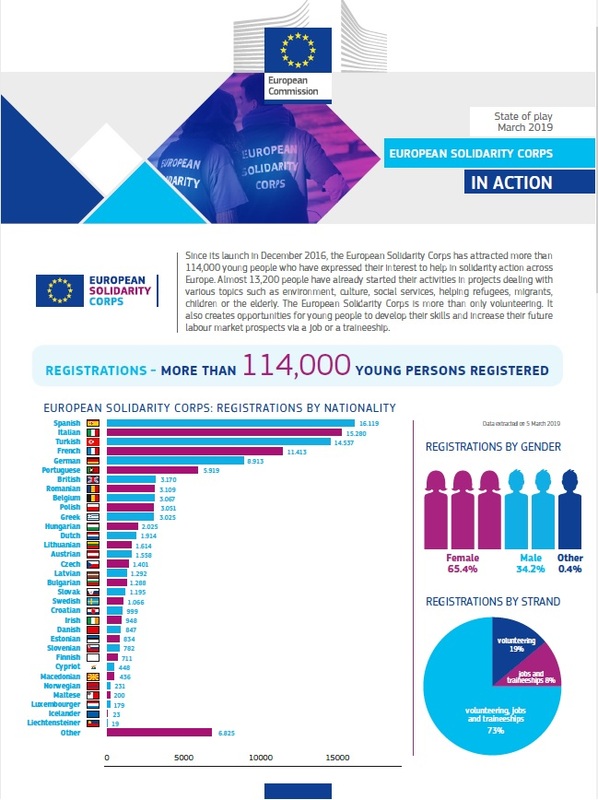 Volunteering with the European Solidarity Corps is an opportunity to.. Available in 28 languages. Click here. 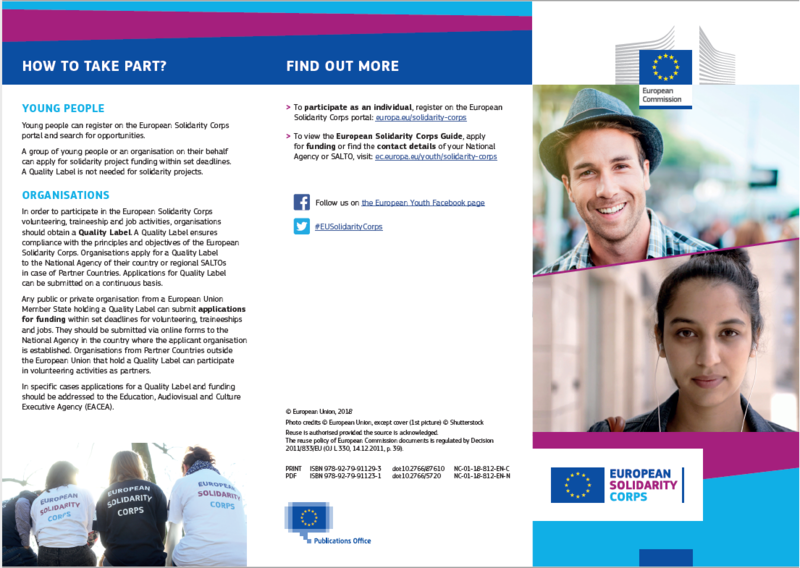 The leaflet describes activities supported by the European Solidarity Corps and outlines who and how can take part. 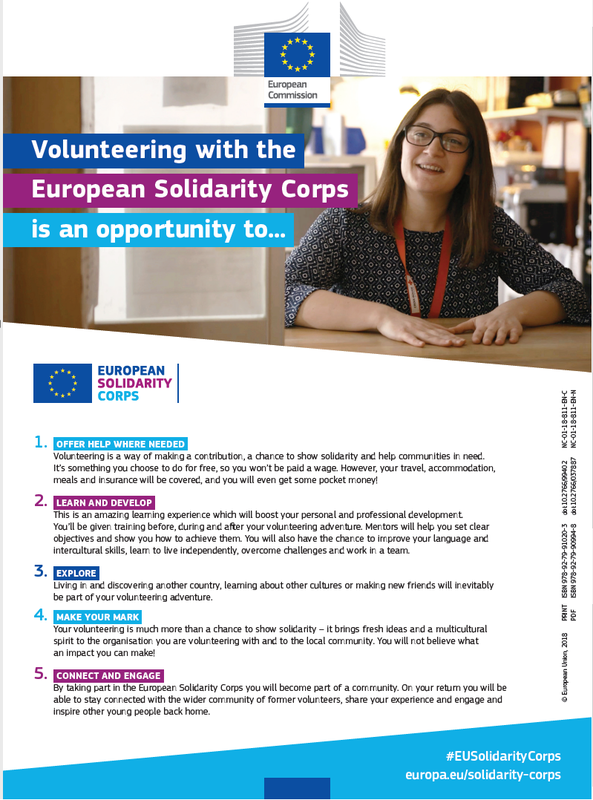 Would you like to send a European Solidarity Corps postcard to your friends or family? Then click here to download them.